Beauty editors, bloggers and super stylists are in a frenzy following the release of The Glide, ghd’s game-changing first hot brush, which is on a mission to simplify hair styling once again. Ok, so first up, it looks like an actual hairbrush, except this one heats up in seconds (90, to be exact). Fairly lightweight, the hot brush glides through dry hair effortlessly. 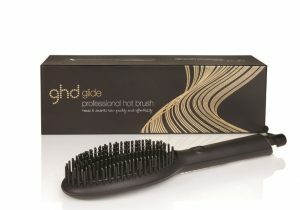 And because the brush reaches the optimum 185C styling temperature, you’ll get healthier looking hair. 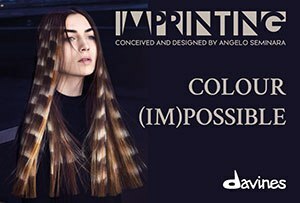 What’s more, the ceramic technology with anti-static ioniser restores balance back in the hair to eliminate frizz, so hair is left perfectly smooth and glossy. In addition, the combination of high density shorter bristles and longer bristles allow large sections of hair to be styled and leaves salon smooth natural movement. Thanks to the ghd glide it seems second day styling has never been so effortless. An extra twenty minutes sleep in the morning? Pretty sure your clients will find it hard to refuse.